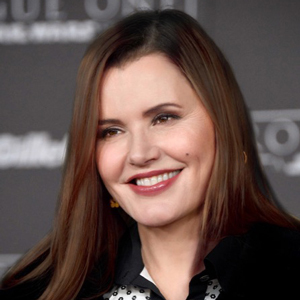 The Digital Entertainment Group is pleased to announce it will present its first “Hedy Lamarr Award for Innovation in Entertainment Technology” to Academy Award winning actor and advocate Geena Davis, Founder and Chair of the Geena Davis Institute on Gender in Media. DEG created the Innovation Award to recognize female executives in the fields of entertainment and technology who have made a significant contribution to the industry. DEG also will present the “Hedy Lamarr Achievement Award for Emerging Leaders in Entertainment Technology,” which recognizes female college students in their junior year whose studies in the fields of entertainment and technology have shown exceptional promise. The Emerging Leader award will be presented to Johanna Baumann of the University of Michigan. In consideration of the extremely high caliber of the student nominee pool, two finalists also will be recognized: Carolyn DiLoreto of the University of Southern California and Cherylynn Lima of Smith College. To honor Lamarr, and to encourage and enable these highly motivated students to pursue opportunities in entertainment technology, all three will receive college scholarships. The awards will be presented in November, 2017, to coincide with the 103rd anniversary of Lamarr’s birth. The awards are made possible through the generous sponsorship of Vubiquity CEO Darcy Antonellis, the Consumer Technology Association (CTA), Deluxe Entertainment, PBS Distribution and Sony Electronics. Austrian-American actress Lamarr was a Hollywood legend who is best known for her roles in a number of film classics, including Samson and Delilah, The Strange Woman, and Tortilla Flat. She was also a lifelong inventor whose innovative work included pioneering “frequency hopping,” which became the foundation for spread spectrum technology. Conceived by Lamarr and composer George Antheil for radio guidance systems and patented in 1942, this highly secure technology resists interference and dropout, and is utilized today for a variety of cellular, Wi-Fi and Bluetooth applications. To honor Lamarr, the Innovation Award seeks to recognize and commemorate female industry leaders who have made a similar impact in the field of entertainment technology. Through her Geena Davis Institute on Gender in Media, Davis is successfully influencing film and television content creators to dramatically increase the percentage of female characters—and reduce gender stereotyping—in media targeting children 11 and under. The Institute is the only research-based organization working within the industry to engage, educate, and influence content creators and audiences about the importance of eliminating unconditional bias, highlighting gender balance, challenging stereotypes, creating role models and scripting a wide variety of strong female characters in entertainment and media. Davis also launched and serves as Co-Founder and Chair of the Bentonville Film Festival, which provides a platform to significantly boost the commercial value of content produced and starring minorities and women. In addition to Davis, finalists for the Innovation Award were Nonny de la Peña, CEO and Founder, Emblematic Group; Dana Golub, Senior Director, Public Programs, PBS; and Cynthia McKenzie, Chief Information Officer, Deluxe Entertainment Services Group. To determine the award winners, DEG enlisted a distinguished judging panel comprised of a cross-section of leaders representing the entertainment, technology, academic, IT and consumer electronics industries. Among other factors, the judging panel based its decisions on the candidates’ embodiment of the following principles: Innovation, Engagement and Excellence. Johanna Baumann is a Performing Arts Technology major at the University of Michigan, where she has served on the board of the university chapter of the Audio Engineering Society and been involved in numerous research projects. This year, she leads an effort to encourage more women to apply the PAT program and to foster an inclusive environment. Carolyn DiLoreto is a Media Arts & Practice major at the University of Southern California, where she is a photographer, graphic designer and involved in the operations of student-run TV station Trojan Vision. Cherylynn Lima is a Studio Art major at Smith College, where she strives to innovate in video games, as a 2D/3D artist, designer and programmer. The DEG advocates and promotes entertainment platforms, products and distribution channels that support the movie, television, music, consumer electronics and IT industries. DEG membership is comprised of: Amazon, Astell&Kern, BBC AMERICA, bitMax, Bluesound, Broad Green Pictures, CenturyLink, Cinedigm Entertainment, Comcast Cable, comScore, DTS, Inc., Deloitte, Deluxe Digital, DirecTV, Dolby Laboratories, DreamWorks Animation, Ericsson, Fandango, Giant Interactive, Giraffic Technologies, GfK Entertainment, Google Play, The Great Courses, HBO Home Entertainment, IMAX, Intel, Irdeto, LG Electronics USA, Lionsgate, MAI, Mediamorph, MGM, Microsoft, MQA, Midnight Oil, MovieLabs, MQA, Music Watch Inc., My Eye Media, Nielsen Entertainment, NPD Group, The Orchard, Outpost Media, Panasonic, Paramount Home Media Distribution, Parrot Analytics, PBS Distribution, Philips Electronics, Pioneer & Onkyo USA, Premiere Digital, PricewaterhouseCoopers, Qobuz, Redbox, Rovi, Samsung Electronics, Screen Engine/ASI, SellThruCo, Sonopress, Sony DADC, Sony Electronics, Sony Music Entertainment, Technicolor, TiVo, Twentieth Century Fox Home Entertainment, Universal Music Group, Universal Operations Group, Universal Pictures Home Entertainment, V2Solutions, Verizon Digital Media Services, Vubiquity, Walt Disney Studios, Warner Bros. Home Entertainment and Warner Music Group.